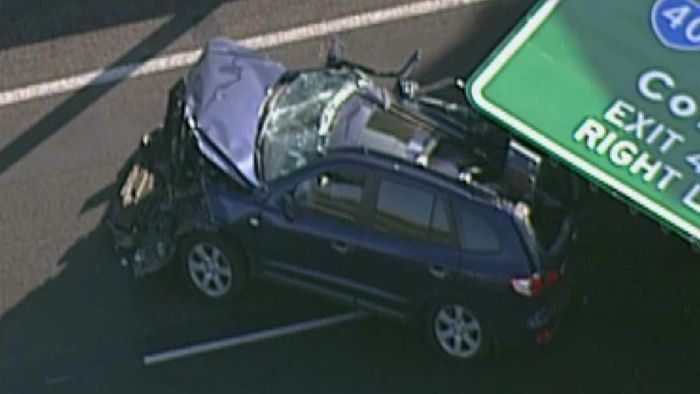 VicRoads confirms preliminary findings that the massive sign which fell and crushed a car on the Tullamarine Freeway earlier this month was missing a steel stiffener plate, while an audit shows it had not been installed on two other signs. Some decades ago, the whole country, and especially Government organisations, were obsessed with Quality Assurance. Every business was expected to put a quality assurance system in place if they wanted to be able to deal with Government organisations, or the other businesses who supplied goods and services to them. And now we have this sort of fiasco. Just another lip-service system which enriched the pockets of the quality assurance certifying organisations? Maybe sign off/certification by a Registered Professional Engineer on the design and post installation would have sufficed. Many Australian Standards are also not mandatory so unless there was a specific mandatory AS for overhead sign installation, the standards would not have helped. I was not referring to the Australian Standards but the Quality Assurance system that the business who constructed the signs presumably had. “Transurban’s David Clements said an audit had found two other signs on the network were also missing the component, and have since been removed. There were “stiffener plates” specified in the detailed design for 3 of the 17 signs but they were not provided. How can this occur if the contractor was complying with their quality assurance system? My best guess is that the contractor simply used the standard drawing to manufacture all 17 signs, and their system failed to match up the correct document number for the 3 signs with the added brace when these 3 signs were constructed. The result was a very lucky escape for the unfortunate motorist, extensive damage to her vehicle and now considerable costs with investigating and rectifying the mistake. This is exactly the type of scenario that quality assurance systems were promoted for. They probably were in relation to welding, steel quality etc. If a sign is made in accordance with a defective drawing under a quality system, one will get a good quality defective sign. As outlined above, if an engineer had certified the drawings and also the installation (and possibly fabrication), then the defective/missing plate should have been identified if it was on the original drawings. There are many dud things made under QA systems…and Choice historically has been interested in those which affect consumers (such as those that make the Shonkies). I am not sure which of my 3 posts you are replying to, but as outlined in my last post, I suspect that the problem occurred due to the incorrect drawing being used for the construction of the 3 signs which were specified to have the additional brace fitted. An error caused by not ensuring the expected quality assurance system was complied with, which almost resulted in a fatality. On what little we know you would need to ask if there has not been at least two QA systems that have failed here. That of the supplier/manufacturer and that of the purchaser/owner. I could not see where any one has yet attributed the omission of the internal stiffener plate for the gantries. It may also be useful to note that from an engineering design aspect it is poor design practice if the internal stiffener that is not readily inspected can cause a major failure through omission. Such features usually require an added level of management, control and QA if they cannot be avoided. It opens up a third level of possible failures in the QA of the design and risk assessment that would have been carried out across all aspects. There is perhaps little more to be gained in discussing the technical issues until there is a more complete report? There is a possibility this may be evidence of a systemic issue with Vic Roads and may be worth considering as more information is made available? I suspect that the problem occurred due to the incorrect drawing being used for the construction of the 3 signs which were specified to have the additional brace fitted. We may be preempting the findings of the investigation. It is possible that the drawings did not have the brace as well. I think it is pretty clear the “detailed designs” did in fact include the 3 stiffeners but the manufacturer failed to pick up the missing component/defect and that a final inspection would not been able to ascertain their presence or not. The reliance was on the manufacturer’s system of compliance and ability to carry out the detail of work required, which they failed to do. @Fred123 certainly has a point about the level of QA shown by the maker of the signs. I think it is pretty clear the “detailed designs” did in fact include the 3 stiffeners but the manufacturer failed to pick up the missing component/defect and that a final inspection would not been able to ascertain their presence or not. …the wrong signs (without stiffeners) could have been installed at the locations where the three stiffeners were required…and the stiffened signs were installed elsewhere where the stiffeners weren’t required. I also appears that it is not possible visually to identify those signs with the stiffeners installed. This could be problematic for those installing the signs especially if they were unaware that 3 signs had stiffeners, whilst the rest didn’t. It could be a quality management issue or construction management (or finished materials handling) issue. There is some very keen interest and great points on the circumstances and issues arising from this near tragic failure. With only a preliminary report indicating what has failed, and that there has been a check of similar gantries, we know little else as fact. Of 17 similar design gantries it was also reported there were a further two that required an internal stiffener plate found to have no plate installed. Once the investigation is complete it is possible there will be a number of contributing factors identified. Some may be readily apparent possibly as per the prior discussion. There may be others that without a more detailed understanding of the contracts and works we are unable to relate to or consider. It’s understandable there is much anger and disbelief the failure has occurred. Projects such as public road construction are managed and controlled in a very different way and environment to property development. There should be little room for error and typically major failures on such works have been infrequent. Attributing the causes may be complex. There are many parties involved including likely a designer, fabricator, principal construction contractor, installation contractor, consulting engineers, perhaps a Principal or Supervising Engineer, and there is Vic Roads. Vic Roads may have taken on one or more roles in the works. The contract commercial and construction deliverables may have been managed within or external to Government. It is alternately worth considering the manufacturer may have supplied the gantries as per order. The order may have been incorrectly issued, or the gantries may have been made correctly and installed in the wrong locations. These are but a few options of what might have occurred. How QA relates to this particular incident and whether it is a systemic failure or other cause apppears to be open for assessment. There is an engineering principle which questions whether the internal and concealed stiffener if critical to the design Is the best solution? The final full report will certainly be an interesting read for some, although given the possibility of contractual and legal issues being attached it may be some time in coming? Another article regarding the Tullamarine Freeway sign fiasco. 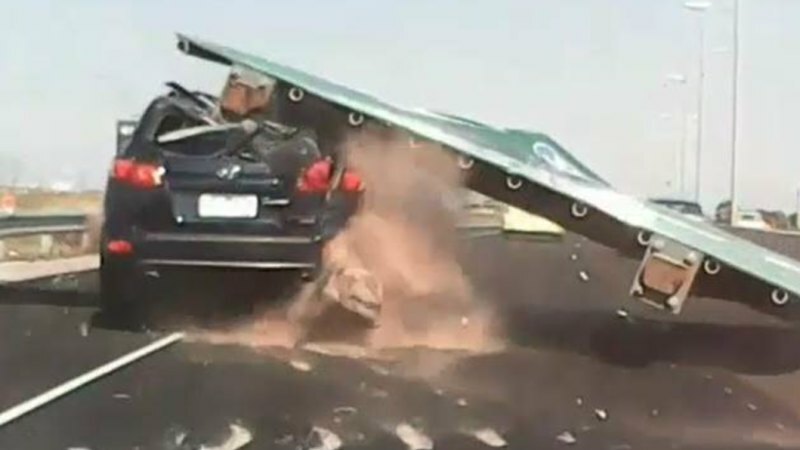 Nella Lettieri's lawyer says she is considering suing VicRoads and Transurban over the botched installation of a large sign on a Melbourne freeway, after it fell and crushed her car earlier this month. The extract below seems to be at odds with the previous advice that only 3 signs required the extra plate, which had not been installed. “Transurban’s David Clements said on the weekend that the steel plates that were missing from the sign were not visible to the naked eye and could have been missed during the final inspection of the signs. He said “ultrasonic testing” had been carried out on all of the signs supported in the same manner, and “only three” were missing the plates. It now appears that all 17 signs required the plate installed and it was left out on 3 of them. After all, why would they bother to test all 17 signs if they could have more easily only checked the other 2 signs which required the plate installed to see if had been fitted. One explanation is the source information is coming through a media release or information session. It is then filtered and repackaged to suit the news organisations marketing needs. A simple lesson in how a public media release intended to minimise damage and concern and reporters can so easily change the context of what we read? It’s great to see that the ABC has added some clarity, although it offers no new answers. It only poses some new questions concerning the relationship between Vic Roads and Transurban, and the Principal construction contract for the roadworks? Should anyone ask if the gantry steel work was manufactured in Australia or OS? The potential defendants of the suggested legal action are at the level of owner/operator/regulator. Perhaps much more than a simple QA issue? Perhaps much more than a simple QA issue? I expect that an investigation from drafting drawings and procurement through to installation (along with every other step in between) would be carried out. Jumping to conclusions and who is ultimately responsible in the case may not be known for some time and now it could subject of the courts, it may not be known until the hearing has been completed. Any other reports, especially by the media unless it is first information/quotes from the investigating party are likely to be speculation or hearsay information. I have experienced wrong drawing being attached to a procurement contract (human error attaching a draft rather than a signed off final drawing). Fortunately one of the suppliers asked if the drawing was likely to change significantly when finalised which raised the incorrect drawing being issued (as it should have been the final version). Panic stations prevailed but it was good to have a thorough supplier. 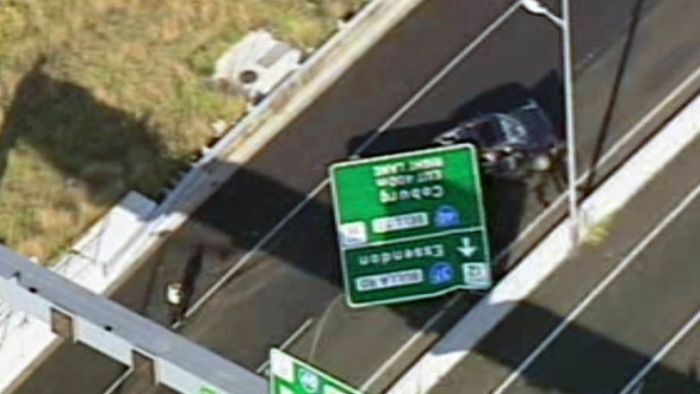 Here we go again with another Tullarmarine Freeway sign falling. A rare event? It should be a non-existent event.